They’re creepy and they're kooky…and coming to a city near you! The national tour of The Addams Family is kicking off at New Orleans’ Mahalia Jackson Theater, with an official opening set for September 23. 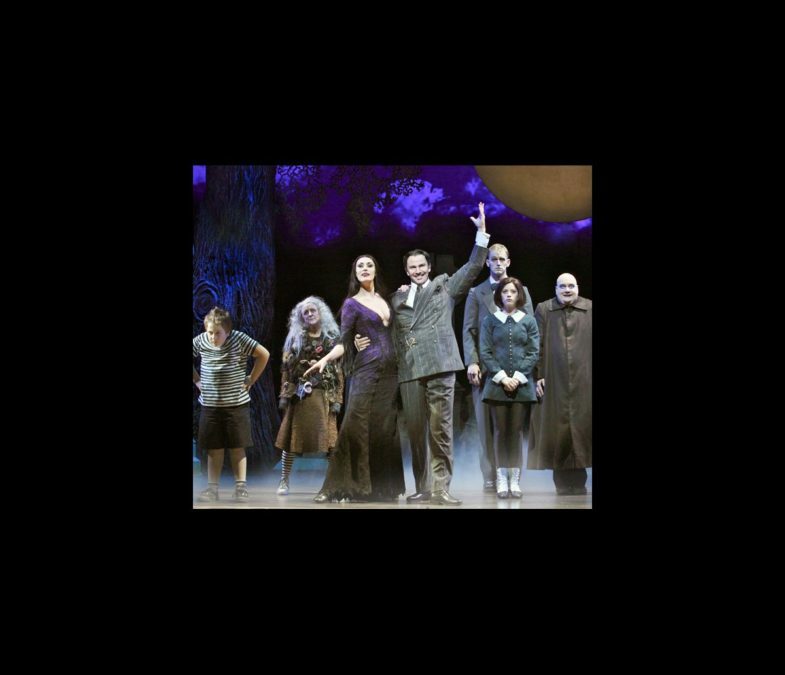 Broadway.com has your first look at the deliciously ghoulish cast of the show, which features Broadway vets Sara Gettelfinger and Douglas Sills as Morticia and Gomez Addams. Their gothic kin are played by Cortney Wolfson as Wednesday, Patrick D. Kennedy as Pugsley, Blake Hammond as Uncle Fester and Pippa Pearthree as Grandma. Based on the classic New Yorker cartoons by Charles Addams, the musical finds the clan upended when Wednesday falls in love and invites her boyfriend’s family to the Addams mansion to meet the parents. Don’t miss the familial hijinks when The Addams Family comes to your town!